The Alaska Department of Transportation and Public Facilities (ADOT&PF) officially opened the Road to Tanana in late August 2016. The road project brings significant benefits to the community of Tanana by reducing freight and cargo costs, reducing travel costs for residents and visitors, and increasing access to mineral exploration in the Interior. The $13.7 million dollar project involved constructing 20 miles of new road and upgrading 14 miles of existing road. The new single-lane, gravel road is a continuation of Tofty Road, originating in Manley Hot Springs, and ending at the south bank of the Yukon River, about six miles upstream from the City of Tanana. Features include turnouts for vehicles to pass, a turnaround near the road terminus, one bridge, and drainage and erosion control. Funding for the project was appropriated in FY2012, with clearing for the road beginning in 2013 and contractor Cruz Construction starting work in 2014. 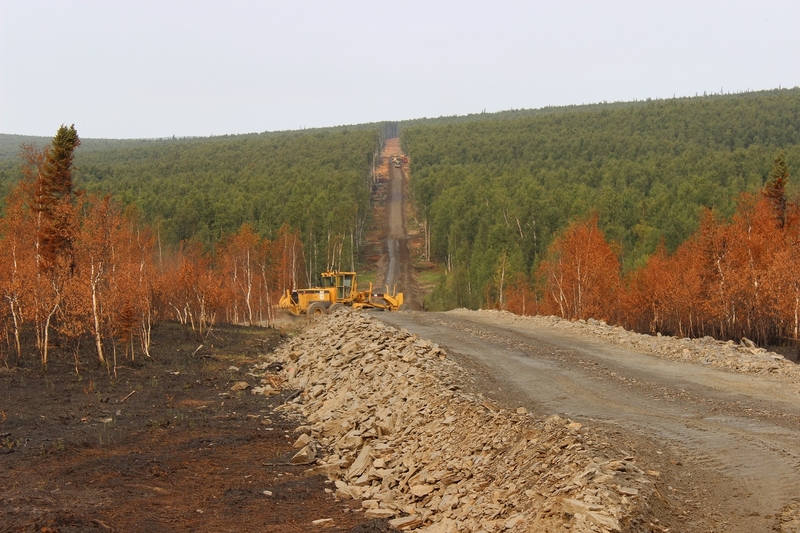 The last 12 miles of the road is surrounded by private lands belonging to Tozitna Ltd. While the road does provide a gravel ramp descending to the Yukon River ordinary high water, no engineered boat ramp below ordinary high water has been constructed. While launching a boat is an allowable use at this location, extreme caution should be taken while performing these activities. In addition to the gravel ramp, the road terminus provides a vehicle turn-around area. Parking is prohibited in this area, as it is reserved solely for maneuvering vehicles. For information on long-term parking, please contact the Tozitna Ltd., at (907) 366-7255. The Road to Tanana is a priority level 5 road, which means there will be no regular winter maintenance. DOT&PF will, however, begin clearing the road on February 15 with an anticipated opening date around March 1, depending on conditions. The planned opening of the road in early spring, in coordination with the City of Tanana’s ice road construction efforts, will allow residents to transport freight to Tanana while the ice road is stable. For updated information on road conditions, please visit 511.alaska.gov. More photos are available on the ADOT&PF Flickr stream.